It's only been around 9 months since Disclosure's last major release, but the brothers returned last week with a surprise release; Moog For Love. The EP marks a return to their earlier sound and came about partly because, "it feels weird not to have anything out and it be summer" according to the duo. Picking a highlight is hard, Annie Mac made "BOSS" Hottest Record in The World last week and Zane Lowe went with title track "Moog For Love". While those two songs are good it's "Feel Like I Do" which most intriguing. Al Green sent Disclosure the stems to all his songs exclusively and the first result of that is "Feel Like I Do", which samples Al Green's "I'm Still in Love with You". The song starts like a classic soul record and transforms into a smooth laid back soulful house number. Whether we'll get a full Al Green and Disclosure project remains to be seen, but this is proof that it wouldn't be a bad idea! Many EPs that are released nowadays are quite lengthy, some even have 8 or 9 songs. 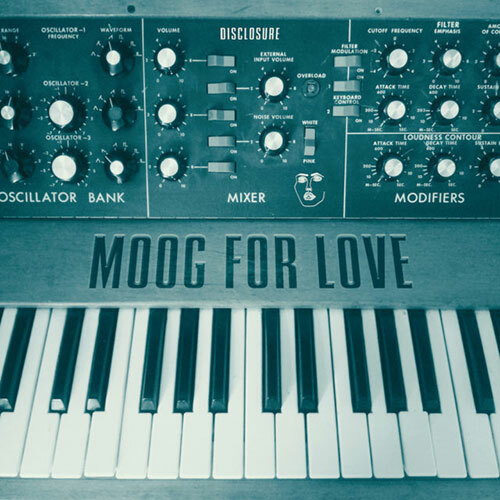 So with only three tracks the Moog For Love EP feels a little short. But what the EP lacks in length, it makes up for in quality and probably longevity.